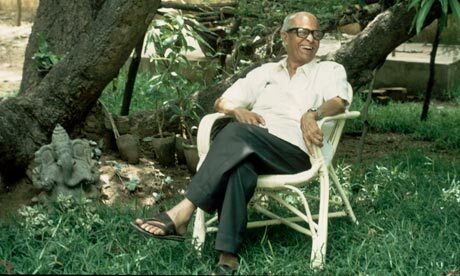 R.K. Narayan was born in Chennai on October 10th, 1906. R.K. Narayan is known for his proficiency in writing. He is in the list of the best writers of the world. Narayan has given notable and amazing books to the world. He has been a part of some of the amazing and incredible projects. He was associated with the Indian literature of English. Narayan was influenced by his mentor and friend, Graham Greene. Graham was responsible for the publication of his first book. He is prominent for his fictional book about a South Indian town, Malgudi. Narayan gained a lot of fame and publicity after this publication. Narayan highlighted the social problems and orthodox behavior of our society in this fictional story. He is the best fictional writer from India. Rasipuram Krishnaswami Iyer Narayanaswami had seven siblings. He was given the nickname, Kunjappa by his grandmother. Narayan after some years moved to Mysore with his family. From the early years of his life, he had an inclination towards reading and writing and used to spend most of his time in the library of his school. Narayan got admitted to Maharaja College of Mysore. After getting admitted to this college, he realized his passion for writing. He scored lower grades in his studies but his love for writing increased with every passing day. Narayan considered this as the turning point in his life. Narayan worked as an English teacher. Narayan’s writing skills took a new turn after this. His writings became more prolific and creative. After this experience, Narayan became more innovative. He has given some amazing and incredible books to the world. He has published a lot of books and many among those have been responsible for giving a new mindset to the world. His books like; Mr. Sampath, The Financial Expert, Waiting for the Mahatma and many others. He has also given amazing and prolific articles to the world. Some of the amazing essays that were published in journals and newspapers are Next Sundays and many others. He is one of the best novelists in the world. R.K. Narayan has been honored and felicitated for his implausible and notable work not just nationally but also internationally. People hold high respect and love for his work. R.K. Narayan was the liveinstance of what hard work and dedication can make you achieve in life. R.K. Narayan has taken his writing career to a new level. Narayan has been felicitated by Sahitya Akademi Award, Padma Bhushan, AC Benson medal award, American Academy of Arts and Letters, Nobel Prize in Literature and many others. Narayan took the legacy of writing to a new level. Narayan made him a place among the top three best fictional writers from India. Narayan gave the readers something different and something unique to read. Narayan made his own place in this world. He was among the best novelists that India has ever given the world. Narayan’s essays and books are still among the best books in the world. He made the people see the other side of the society. He made us see what people go through. In the year 2016, Narayan’s Mysore home was converted into a museum in his honor. All his books have made people think again about the society we live in. He has earned a lot of respect and was an inspiration to the youngsters. People love him for who he was and what he had achieved in his life.